Introducing: Custom UV Printed Acrylic Signs! Large office buildings, department stores, grocery stores, and retail shops all need effective and affordable ways to display wayfinding and directional signs. 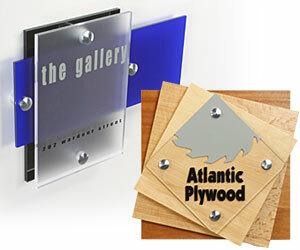 Sign standoffs provide a custom solution and give designers a subtle and visually appealing way to display signage. Why are standoffs a more effective way to display signage than frames? One word: Versatility. 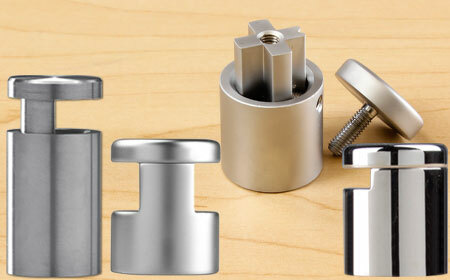 Sign caps come in different styles, including brackets, rails, edge-grip and screw caps. Customizable DIY office signs are available with unique shapes, styles and sizes in kit form. Design and print custom graphics using our design templates. 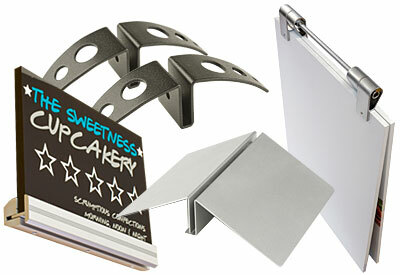 Make sure to take advantage of our affordable collection of sign standoffs to outfit any business or store. What are some popular uses of signage standoffs and cable systems? Wayfinding & Navigation - In commercial buildings it’s vital for employees and visitors to easily be able to navigate their way from one section to another. Sign caps are ideal for display arrows to point to a bathroom, label floors and guide people towards the exit. Office Signage & Door Labels - Employees with their own office like to have a name tag and title outside the door. 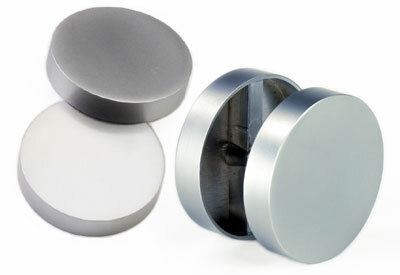 Aluminum silver standoffs are an attractive and refined way to place labels and doors. Try sign caps with frosted or green-edged acrylic sign plates. Window Storefronts - Hanging cable systems feature different mounting styles including wall-to-wall and ceiling to floor. The discreet cable wires are barely visible to passerby, giving the allusion that poster frames are “floating” in the window. Hanging signs are often used by real estate companies to place property listings in the window. 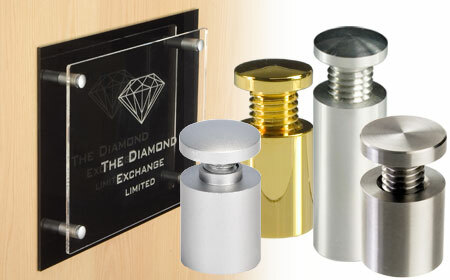 Take advantage of different ways to mount signage with these standoffs. 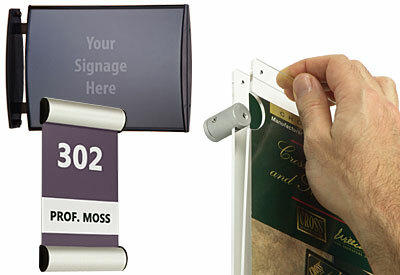 Through-grips, or glass standoff hardware, mount panels firmly in place and make it easy to change signage in and out. Edge grip signs and brackets are the preferred choice if you prefer not to drill any holes into your signage. Graphics and labels sit comfortably in the channels of these displays. If you have signage that’s already fixed to the wall with screws, standoff caps are the finishing touch. 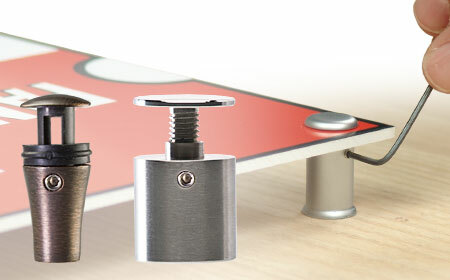 Simply putting a gold, silver or bronze cap on exposed screws can make a huge difference. 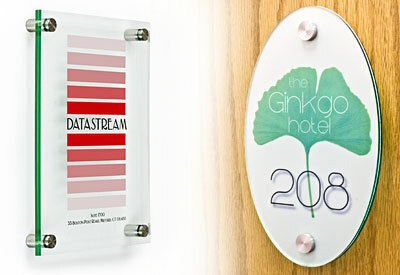 Looking for something a little more exciting to bring some attention to your signage and wayfinding? Illuminated grippers, brackets and posters add a nice glow effect to any graphics. Use LED displays with a frosted acrylic display for a subtle diffused glow. LED sign caps draw more attention to signage without being overwhelming.